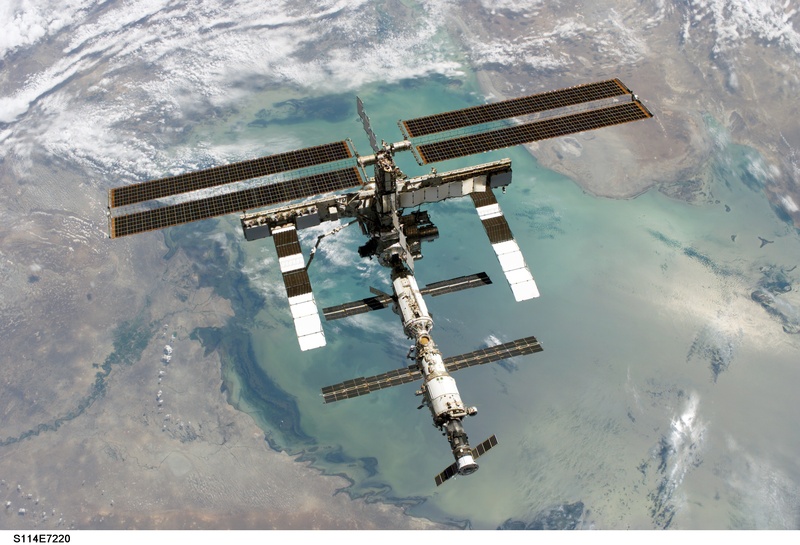 Explanation: The International Space Station (ISS) is the largest human-made object ever to orbit the Earth. Last August, the station was visited and resupplied by space shuttle Discovery. 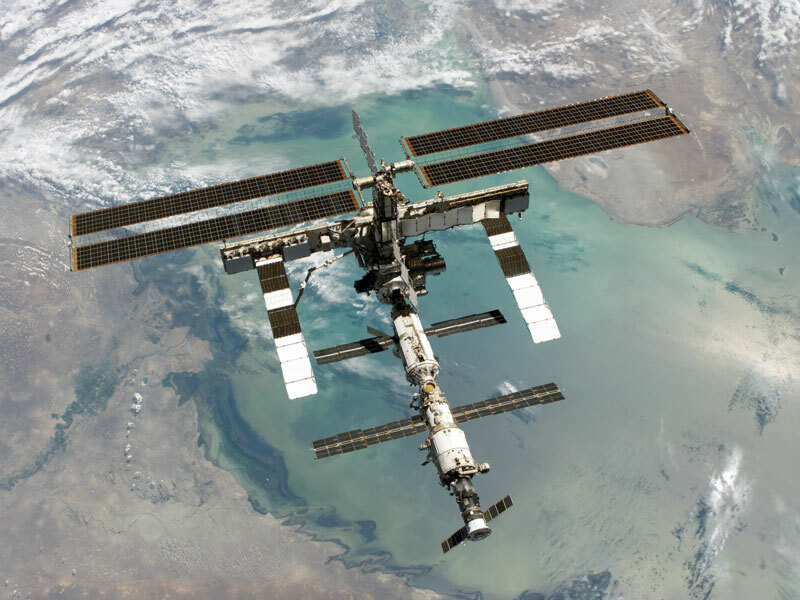 The ISS is currently operated by the Expedition 13 crew, consisting a Russian and an American astronaut. After departing the ISS, the crew of Discovery captured this spectacular vista of the orbiting space city high above the Caspian Sea. Visible components include modules, trusses, and expansive solar arrays that gather sunlight that is turned into needed electricity.